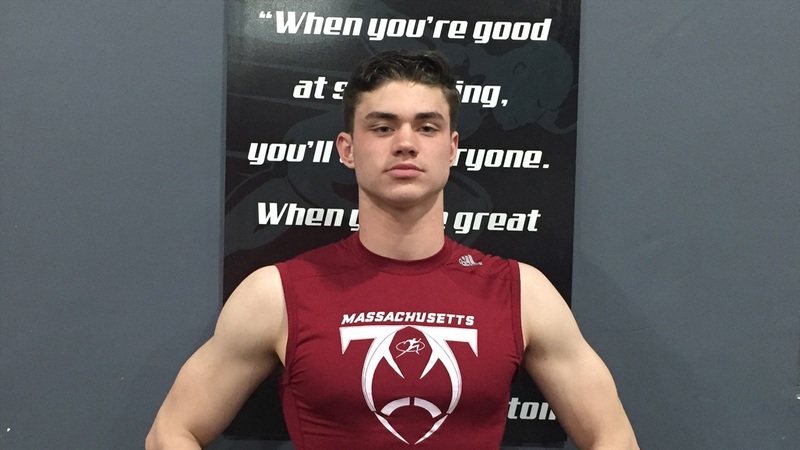 Trainer | 2020 WR Jay Brunelle Is "The Real Deal"
When Jay Brunelle‍ walked into Exceed Sports Performance & Fitness to train for the first time a couple years ago, the 2020 Massachusetts wide receiver’s potential wasn’t obvious to everybody. “When he walked in here and started training with us, they didn’t know where this could go,” Exceed Sports owner/director of operations Sean Smith recalls. Smith, who owns Exceed with his business partner Shane Davenport, says when he first started working with Brunelle, the 6-foot-2, 200-pounder was a 1-AA prospect. “I know the Big 10 well,” says Smith, whose brother Brendan was a safety and captain at Northwestern. Smith trained his brother and many of his former teammates while in Chicago. The 6-foot-2, 200-pounder from St. John’s High School in Shrewsbury, Mass., still has some unfinished business, but with an offer from Michigan and Boston College among others, he’s proven he’s a national prospect. Smith says Brunelle has added 10 to 15 pounds over the last year and a half or so improved all of his numbers. Smith expects Brunelle to continue improving as a receiver just by being around some of the NFL guys who work out at Exceed. “Just picking up intricacies of route-running,” he says. “We don’t teach them route-running in here per se, but we do a lot of change-of-direction, sprint/deceleration. I’ll teach him the basics of getting in and out of breaks and cuts, which directly applies to route-running. Smith, who was raised by a Marine, is trying to pass on some of those lessons in leadership. “I’m the oldest and I was always a captain on my team,” He says. “I’m trying to take what my old man taught man and showing him how to push the guys. He’s working and he’s leading by example and he’s starting to get some attention, which is awesome. Many of the athletes working out at Exceed these days are teammates of Brunelle’s at St. John’s who he’s trying to lead. Brunelle is a mature, grounded young man who takes care of his business.